ST. GEORGE – In the wake of the death of Thomas S. Monson, president of The Church of Jesus Christ of Latter-day Saints, church officials and numerous public figures and organizations have expressed their condolences and have commented on his legacy of service. 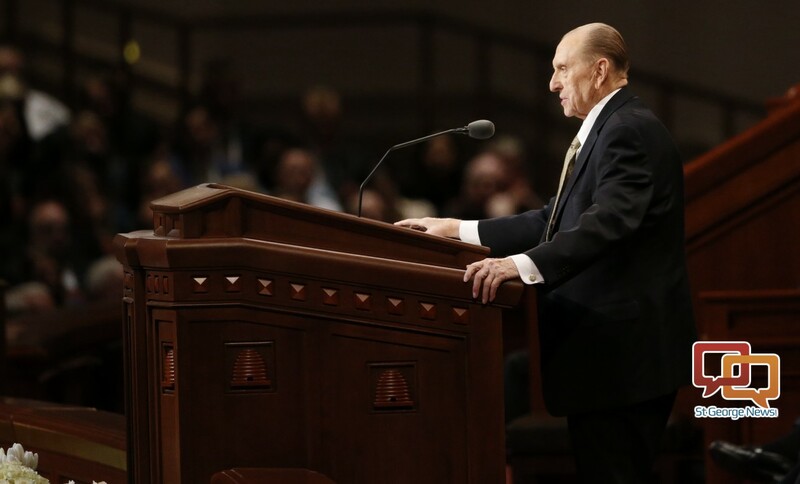 Monson, 90, was the 16th prophet-president of the LDS church and is remembered as a man who championed service and caring for those in spiritual and physical need. We, the Quorum of the Twelve Apostles of The Church of Jesus Christ of Latter-day Saints, unitedly express our sincere sense of loss at the passing of President Thomas Spencer Monson. He was our prophet, our leader, our brother, and our dear friend. President Monson lived an exceptional life of service. He served as an Apostle for more than 54 years, the last 10 years of which were as the President of the Church. From his earliest days of Church service to the very end of his faithful ministry, he never failed to bear witness, in word and deed, of the truth of the restored gospel and of the divinity of the Lord Jesus Christ. We will miss his wisdom, his leadership, his meaningful example, and his loving kindness. However, we rejoice in his reunion with his beloved Frances, with other family members who have gone before, and with the prophets of God who preceded him in death, with whom he now stands. As his fellow servants, we echo the words of the Master: “Well done, thou good and faithful servant: … enter thou into the joy of thy lord” (Matthew 25:21). Bishop Oscar A. Solis, Catholic Diocese of Salt Lake City expressed his condolences on behalf of Catholic community. On behalf of the Catholic community of the Diocese of Salt Lake City, I extend heartfelt condolences to the family, members of the First Presidency, Quorum of Twelve Apostles, other leaders and faith of the Church of Jesus Christ of Latter-day Saints on the death of President Monson. He joyfully served the church and the broader community selflessly and humbly for many years. The President has has a good friend and supporter in our mutual efforts to support the common good and care for the most vulnerable both at home and aboard. Catholic Community Services as well as the Good Samaritan Program have benefited from his commitment to the poor. 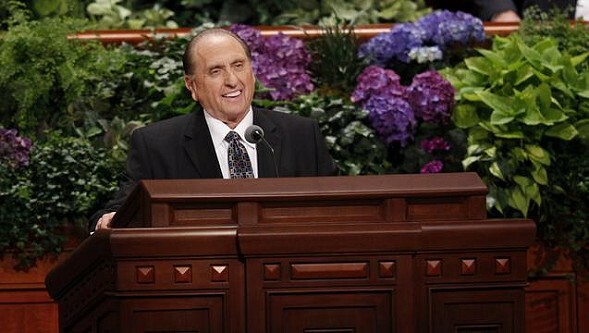 For President Monson, the Sermon on the Mount was not a just a platitude but a way of life. President Monson was an advocate of unity and believed in the goodness of each person. He embraced people regardless of faith, seeing in them the image of Jesus. His was a “human” touch of kindness and dignity that will long be treasured. We join in prayer with the LDS faithful at this difficult time. We are deeply saddened to hear of the passing of President Thomas S. Monson. He was a Scout in every way and the epitome of servant leadership. We are thankful for all he did for youth and our communities. The Larry and Gail Miller family and the Utah Jazz organization express their heartfelt sympathy at the passing of President Thomas S. Monson. His lifelong service and his impact on the world will always be remembered. He was an example of pure service, always looking after those in need, including our family as he provided comfort by visiting Larry, another West High boy, many times during his long illness. We are honored to have had a close relationship with him and will miss him. The Jazz will honor President Monson, a loyal fan, with a moment of silence before tonight’s game as a tribute to his leadership through the years. President Monson was a vary kind and caring caring individual and leaves a great legacy. 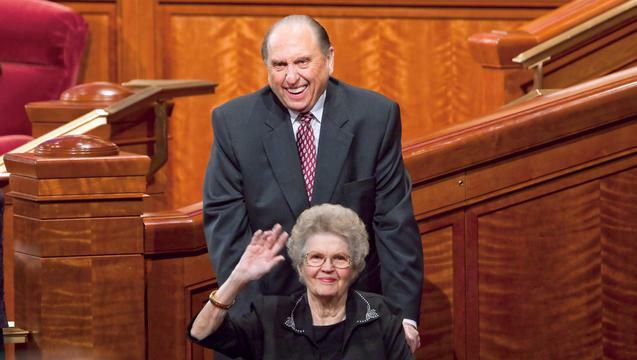 Williams recalls that President Monson would always greet her with a warm smile and a handshake whenever he saw her. “He was aware of the respect of President Gordon B. Hinkley and President James E. Faust had toward me and my civil rights work as a Civil Rights Leader. He too, would always ask how I was treated by the people of Utah,” Williams said. The NAACP sends our deepest condolences upon the passing of LDS President Thomas S. Monson. Jeanette and I join millions of people around the world in mourning the death of LDS Church President Thomas S. Monson. His life was a sermon of service. He cared for all people as children of God. The state of Utah and its citizens are better people because of his example of kindness, his personal ministry and his visionary leadership. While serving as the lay leader of his inner-city LDS congregation at a very young age, Thomas Monson learned to serve those who struggled with life’s challenges, especially the many widows in his neighborhood. That meaningful one-on-one service set him on his lifelong pathway of compassionate leadership that will endure in all of our hearts. Throughout my years of public service it has been a distinct privilege to associate with President Monson and his sweet wife Frances. They became dear friends and mentors to our family. His legacy of service, compassion and unwavering love for all of God’s children will be felt for generations to come. As we celebrate President Thomas S. Monson’s remarkable life, let us remember his focus on the one – his admonition to serve the individuals around us – recognizing that even the smallest actions can lift lives and brighten our world. Our prayers are with President Monson’s family and friends as they mourn his passing. I love President Thomas S. Monson, and I will miss him. Throughout my life, he has been an example of selfless service and visionary leadership. When I was a young leader of a Latter-day Saint congregation, I looked to President Monson for inspiration and was blessed by his example, and I have continued to look to him for spiritual guidance. His life was a living illustration of individual ministry to the lonely and the downtrodden. His example moved me then, as it does now, to come to the rescue of those in need and to lift those who are weary. I will always treasure the quiet interactions we shared together. In his presence, I knew I was speaking to someone intimately familiar with the Lord. Beyond his talks, teachings and testimony, his service and charity towards his fellowmen were unsurpassed. His love for the human family, like his love for God, was unbounded. 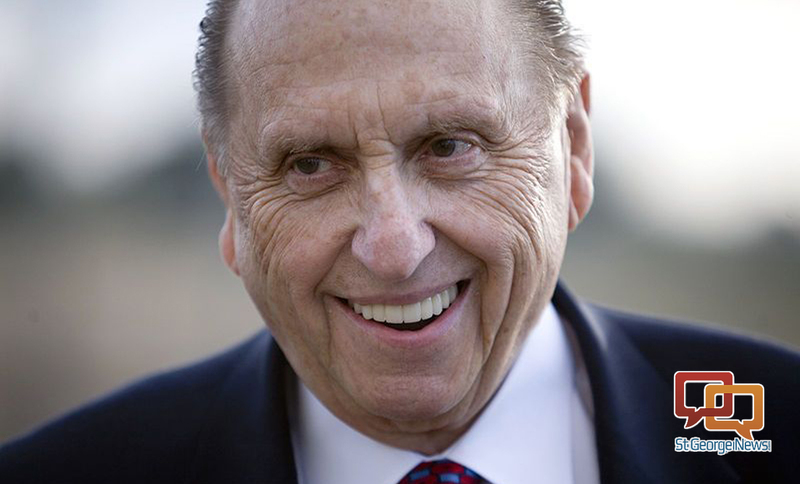 As a community leader, President Monson was peerless, and yet, he never sought the accolades of the world. His sights were set on a more lasting and transcendent goal of lifting the human spirit and condition to a higher plane. He was blessed with a wry sense of humor and a seemingly bottomless well of stories, a gift for language that he used to touch the lives of millions, as well as to lift each person that he met individually. Saysha and I express our sincere and deepest condolences to President Monson’s family, as well as to the members of the LDS Church who are mourning the passing of their prophet. We are all better because of President Monson’s service, and it is my hope that we might all, as he did, come to the rescue of those who are in need around us. President Thomas S Monson was a dedicated disciple who spent almost eight decades in the service of his fellow men and his God. He was a strong advocate for Christlike love and the principle of eternal families, and his years as prophet were marked by a massive expansion of the missionary system and the temple network. He led by example, and his messages of love, redemption, and optimism will continue to inspire and shape those he leaves behind, both in and outside the church. My thoughts and the prayers of many others are with him and his family today. President Monson was among the greatest men I have ever known. Service was his motto and humility his hallmark. 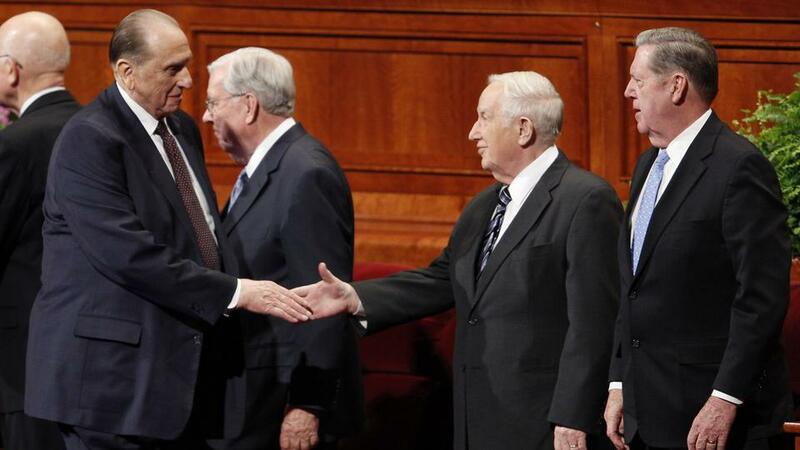 Countless were the lives he touched as a prophet, father, and friend. He emulated Christ in every particular, helping all of us draw closer to God by drawing all of us closer to each other. I’m so grateful for the life of my dear friend and for the example he left for everyone to follow. I’m saddened to hear of the passing of President Monson. He was truly a man who dedicated his life to God. His service and leadership blessed the lives of many. #LDSChurch. I have had the great blessing in my life of observing, serving under and becoming acquainted with some of the great leaders of the world. I don’t know anyone who’s had a greater influence for good than President Monson. He will be missed by millions of people throughout the world. I give thanks for the life and example set by Pres. Thomas Monson. His tireless, charitable service, cheerful demeanor, love of others and ministry touched millions of lives. He provided inspiration for Latter-Day Saints throughout the world. God bless him and his family. Thomas S. Monson walked where Jesus walked, lifting the downtrodden, comforting the wounded, healing the sick, brightening the lives of the lonely at heart. More even than his words of strength and inspiration, he will be remembered for the abundance of his love and the overflowing of his compassion for every one of God’s children. Ann and I and our family join the widows and orphans and homeless and countless others who today mourn the life of a true prophet of God and apostle of the Lord Jesus Christ. Who will be the next oldest white man chosen?